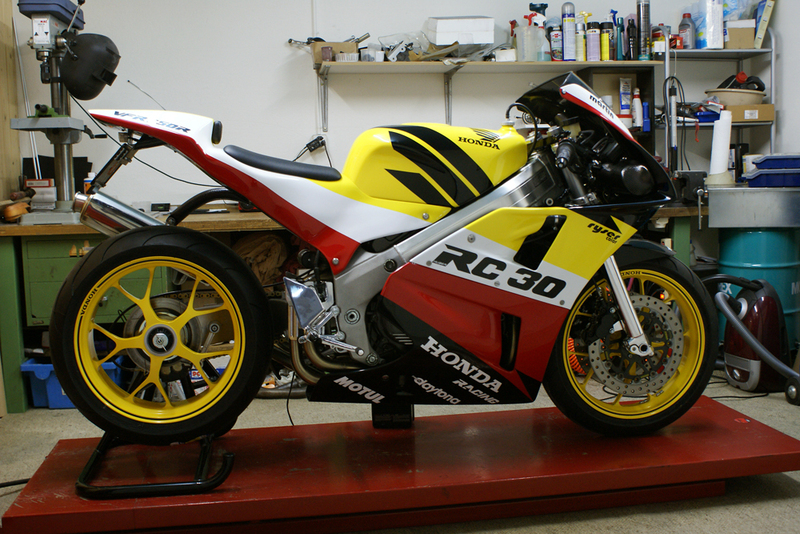 14.12.2013 Some nice Pictures from Stephane's RC30 - Uruguay ! 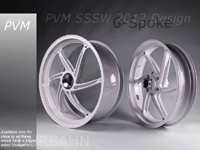 2012 new SSSW PVM 6-Spoke Wheels available for the RC30 ! 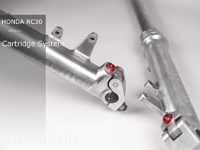 Martin from Switzerland realized this RC30 himself, designed the Tail section. 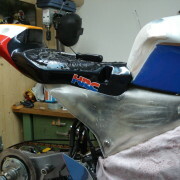 Nice Paint Scheme, better Ergonomics. 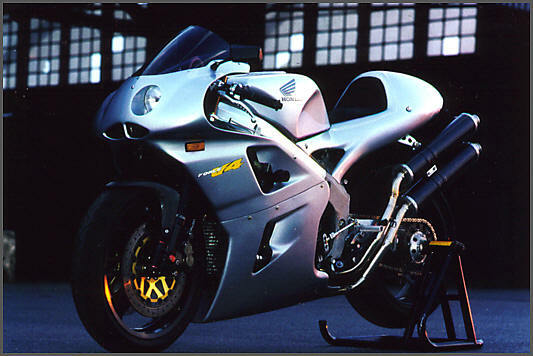 Does this Bike looks 23 years old ? No. Congrats, Martin !